What makes it special: The Galaxie is a full-sized car built by Ford for model years 1959 through to 1974. The name was used for the top models in Ford’s full-size range from 1958 until 1961, in a marketing attempt to appeal to the excitement surrounding the Space Race. 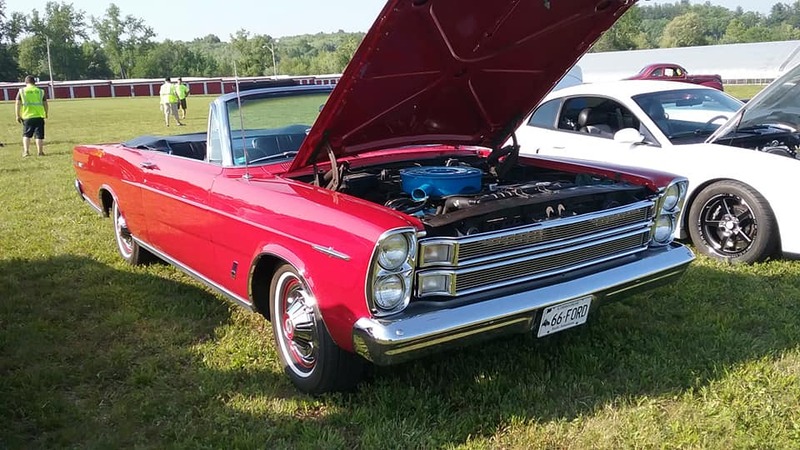 The Galaxie was the competitor to the high-volume full sized Chevrolet Impala. What made it famous: Starting in1965 Galaxie was an all-new design, featuring vertically stacked dual headlights. The cars were taller and bulkier than the previous year’s. Suspension was redesigned. Replacing the former leaf-spring rear suspension was a new three-link system, with coil springs. Interiors featured a new instrument panel and two-way key system were introduced. A new model was introduced for 1966; the Galaxie 500 7 Litre, fitted with a new engine, the 345 hp 428 cu in Thunderbird V8. This engine was also available on the Ford Thunderbird and the Mercury S-55. The police versions received a 360 hp version of the 428 known as the ‘Police Interceptor’ as police cars. Safety regulations for 1966 required seat belts front and rear on all new cars sold domestically. The Galaxie 500 would be the #3-selling convertible in the U.S. in 1966, with 27,454 sold. Why I would want one: Love the stacked-headlight look, and the sharp body lines of the ’65 & ’66 Ford Galaxies.